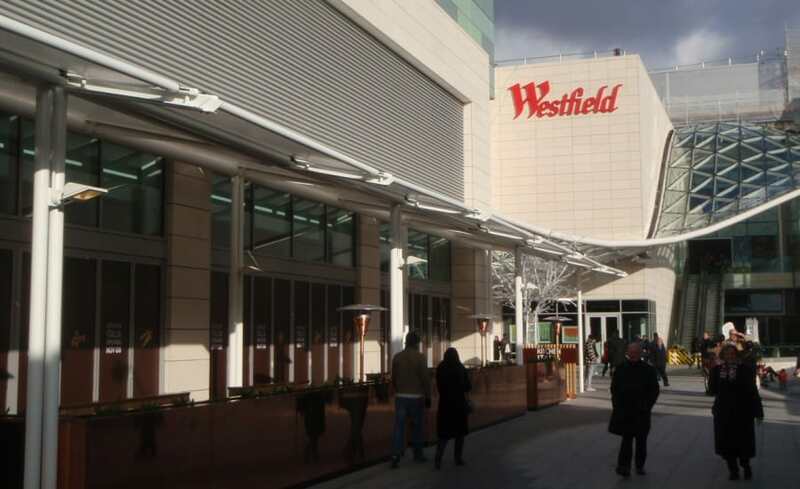 A third area of the Westfield site was the venue for yet another Architen Landrell structure in October 2008! 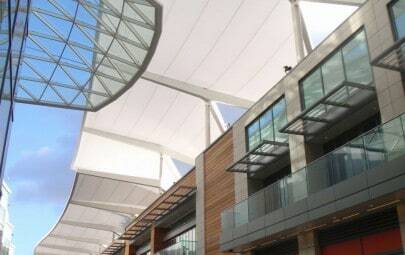 The Southern Terrace is a row of restaurants, shops and cafes where visitors to the vast shopping centre can relax and unwind. 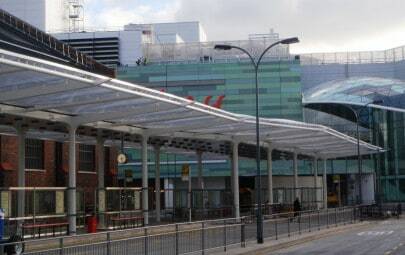 When planning the area, the designers were concerned about the solar glare which may affect the view of customers, therefore it was decided that an awning style retractable canopy was necessary to provide solar protection. We initially carried out a sun path analysis to calculate the projection of the sun and the most effective positioning of the shades. 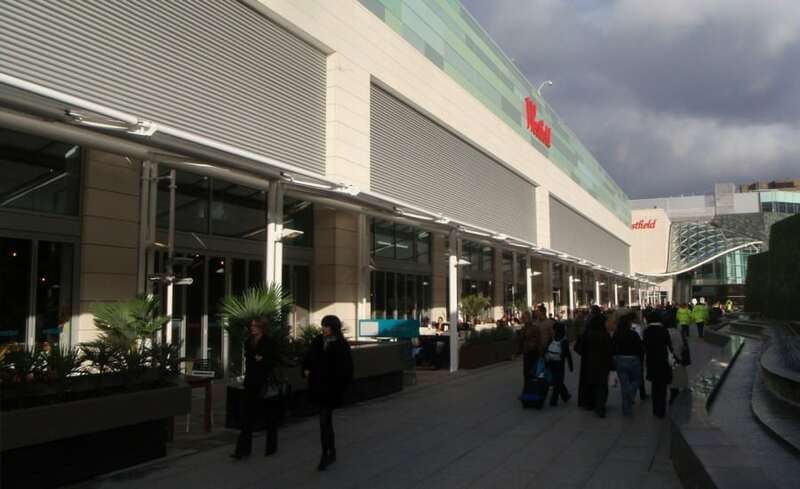 From this information, we were able to advise Westfield Shopping Towns of the most appropriate solution to their solar shading problem. 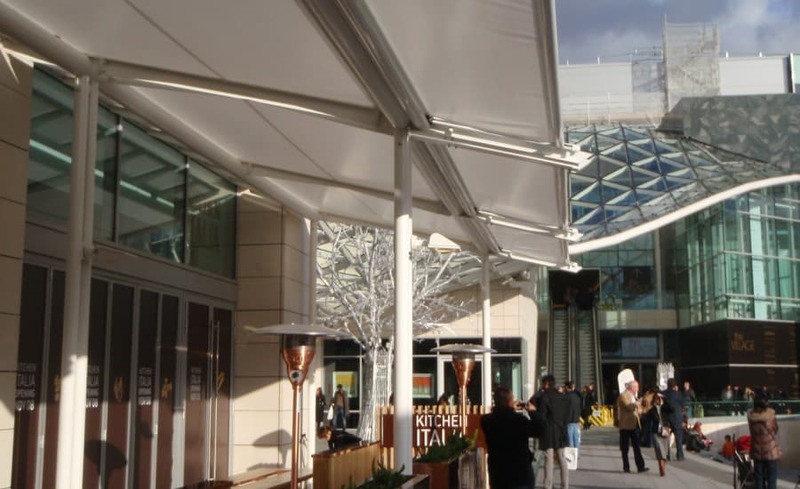 After a successful design stage, Architen Landrell was awarded the contract to manufacture and install 24m of retractable canopy to the exterior of the terrace. Six four metre bays form the basis for the Southern Terrace installation and provide approximately 500 square metres of shading for the people sitting below. 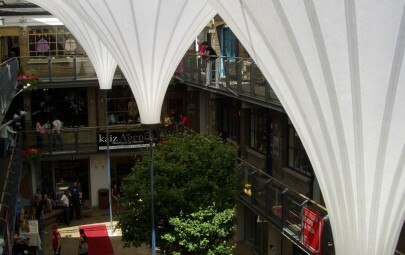 The awnings were fabricated from Gore Tenara to ensure high levels of light would still be transmitted through the canopy. 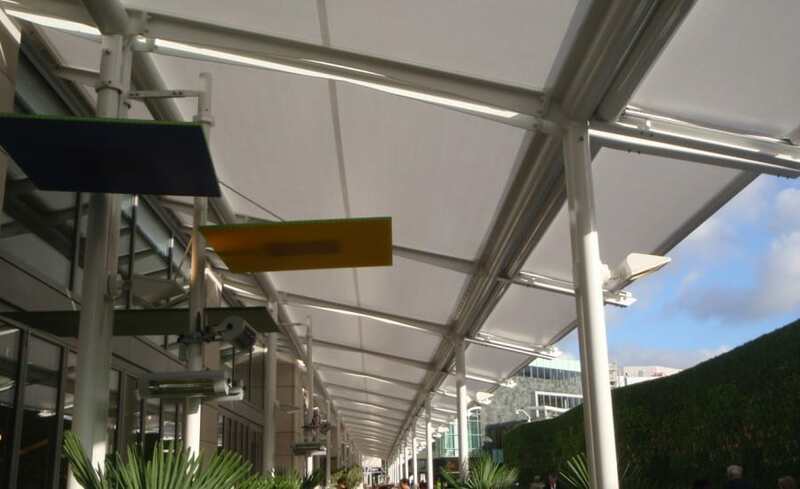 Although mostly fixed, the end section of the canopy contains is fitted with an electric motor which automatically extends the canopy projection when the sunlight lowers in the sky. Like the other Westfield London projects the timescale in which to complete the project was very tight. The cladding to the main faade of the building had to be completed before our work could start which left us with only two and a half weeks to install the steelwork, fabric panels and electrical elements. As a result, a massive amount of work had to be completed off site to ensure that installation was as efficient as possible. The long, narrow nature of the street meant that access was limited and shared with several other contractors during the day. Like the other projects, the majority of work was completed at night to avoid the crowded environment. The Westfield London projects have undoubtedly been a success due to the large amounts of effort given by all members of the project team. Wed like to say thank you to all involved and praise them for their hard work and dedication!